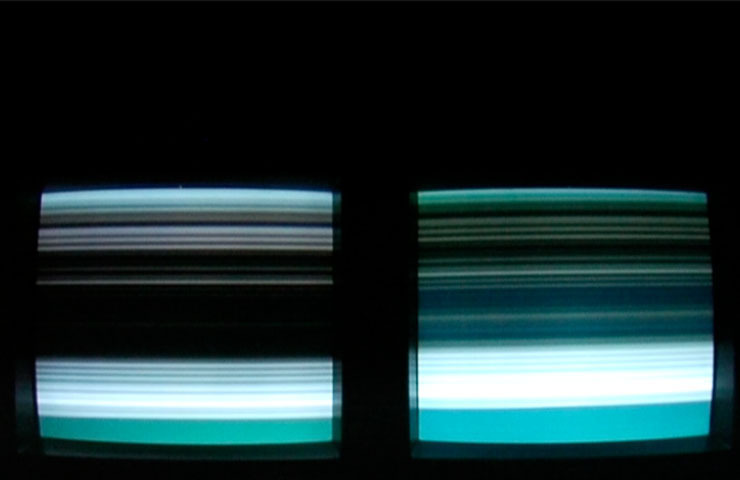 TV Hertz is a series of sound and light installations that explore the interaction of sound and image (synaesthesia) through the use of pure sound signals (mostly sine waves). Images are created on TV monitors by connecting the amplified sound source to the video input of the monitor. What is created is light across the scan lines of the monitor in complete synchonicity with the sound that is also played out on speakers in the space. The installtions are presented in stereo with two monitors (one for the left channel and the other for the right channel).